Mobilmix 2.25 - Value Tech Ltd. 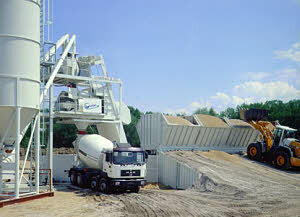 The Mobilmix 2.25 offers a new concept of mobile mixing plants and is comparable with the standard stationary mixing plants. The entire plant is moved in only a few transportable units. The basic machine with control container is mounted on a steel frame which also forms the foundation.